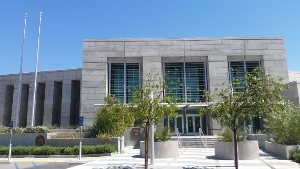 General Parking: Public parking is available in front of the courthouse (south side) and in the back (north side). There are nine handicapped spaces in the lot. Over flow public parking is available in the public lot located across North Alessandro Road, to the west of the courthouse. Below is the Google Map to the Banning Justice Center.